El Galeón is NOT in St. Augustine at the current time. There are no plans for El Galeón to be in St. Augustine in 2019. Please note: El Galeón is an occasional visitor to St. Augustine. When her next visit is planned, this listing will be updated to reflect the new dates. Meanwhile, anyone interested can follow El Galeón via this website as she visits other ports. 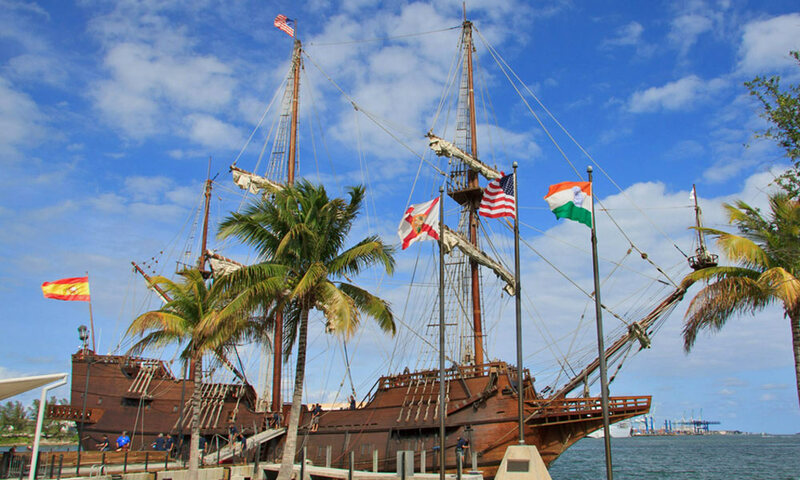 The tall ship El Galeón is a replica of a Spanish galleon from the colonial period. When docked in St. Augustine, the ship is open from 10 a.m. through 7 p.m. each day of the visiting period. 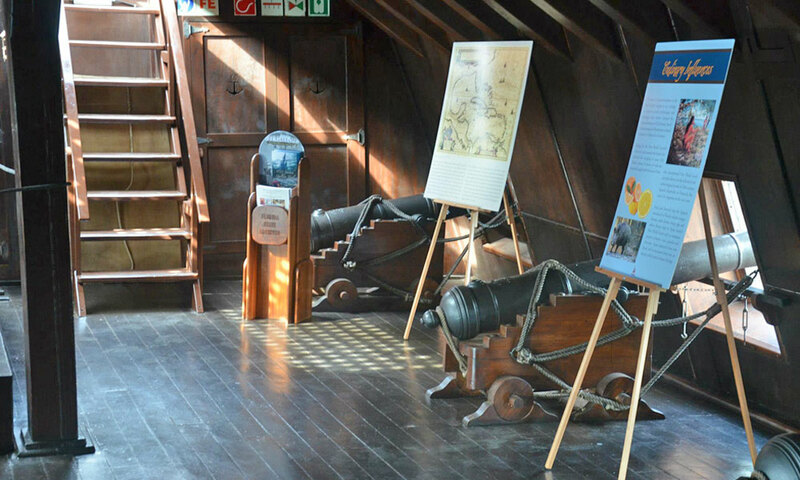 Guests are free to roam above and below decks (there are five in total), talk to the Spanish crew who live and work on the ship, and learn from a variety of interactive exhibits, videos and historical documents on display. Ships such as this one sailed Florida's coastal waters during the 16th and 17th centuries, crossing the ocean from the Old World to the New for trade and exploration purposes. The Nao Victoria Foundation of Seville, Spain, began building this authentic replica tall ship in 2006. The 170-foot, 495-ton El Galeón requires a crew of 28 to operate the seven sails (more than 9.600 square feet in area) on three masts in the same method used by sailors in the 16th century. 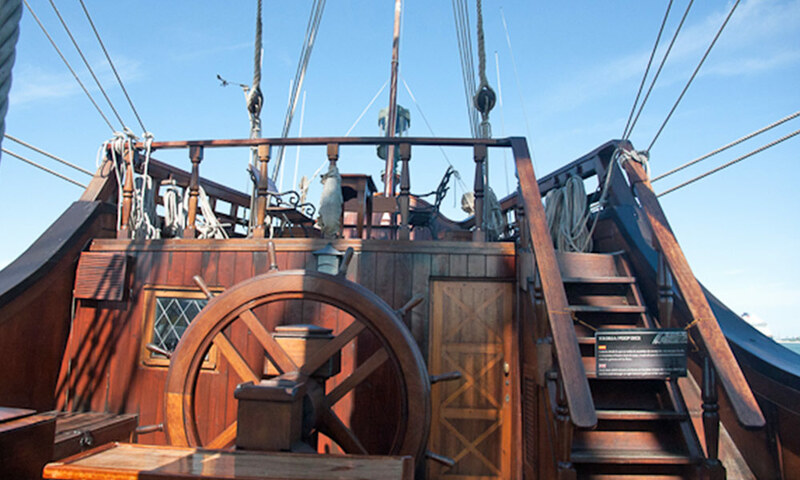 The ship was used in the making of the television series "Crossbones" on location in Puerto Rico. The first historical ship like El Galeón to arrive in St. Augustine was the San Pelayo, the flagship of city founder Don Pedro Menéndez de Avilés. It was one of the most powerful ships of its day, weighing some 650 tons and carrying 800 colonists and supplies. Menéndez and his colonists established St. Augustine, the first permanent European settlement in the United States, in 1565. Tickets are $12 for adults, $6 for kids ages 5-12, and free for children under 5. St. Johns County resident tickets are $10 and $5. Tickets can be purchased at the ship or online here. When in St. Augustine, El Galeón is docked at the municipal marina next to the Bridge of Lions, at 111 Avenida Menendez. 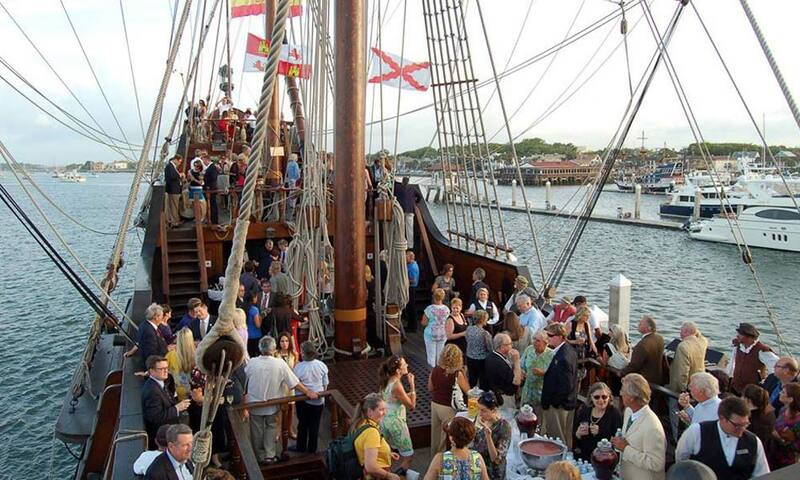 Be the first to Review El Galeón Tall Ship! Discounts available for St. Johns County residents.